Getting a new cat or kitten is an exciting time. Here are some ideas to help you get prepared for your new Persian. To make the transition and adjustment easier and less stressful for your new Persian cat or Persian kitten, it is best to get prepared in advance. The following is a list of items to have before bringing your new Persian home. See our Supply List for recommendations on types of grooming items, bowls, toys, litter, etc. for Persians. Food - Purchase the same kind of food the cat is currently eating to avoid stomach upset and possible diarrhea. If you wish to change the brand of food, you may do so slowly over a period of weeks by adding more of the new food to less of the old food (i.e., start with approximately 3/4 of the old food to 1/4 of the new food, then 1/2 old food to 1/2 new food, etc.). Avoid grocery store, discount warehouses, etc. foods. Only buy cat food from a pet store or through direct order. We ONLY feed and recommend Life's Abundance food which is available by direct order and delivery to the pet buyer's home. For more information, please click here - Life's Abundance pet food to visit their site. Cat litter box (covered or uncovered pan) - The covered ones are nice because they prevent the litter from being thrown all over the floor if the cat is overly enthusiastic when covering its messes. Cat litter - Ask the person where you got your Persian from what they were using as sometimes the kitten has a difficult time transitioning to the new cat litter. If you wish to change the type and/or brand of cat litter, do so slowly over a few weeks time by adding less of the old and more of the new each time you change the litter box. Toys - Ask the person where you got your Persian cat from what types of toys your particular kitty likes to play with. That doesn't mean you can't add new toys to your home, but sometimes it is nice to have one or two toys that seem to be your cat's favorite kind. Scratching post and cat tree - Try not to get deep, plushy type carpeting as the cat's claws will get stuck in this type of carpeting. The posts and trees that have a natural fiber rope twisted around the posts and smoother fabric/carpeting seem to be a favorite of most Persians. Grooming equipment - Depending on the type of coat your Persian cat has will govern what kinds of grooming tools you will need. For instance, with a Persian a stainless steel, non-static comb should be used to get tangles, and mats out. You will need cat nail clippers to trim its nails. Also, get Kwik Stop (a styptic powder) that stops bleeding if you should accidentally cut a nail too short and it bleeds. As you can see by the above list, it would be best to get these items well in advance of bringing your new Persian home. Obviously, by planning ahead for your new Persian kitten, you can avoid impulse buying that so many people do. I highly recommend getting these items from a mail order store as it will save a tremendous amount of money even for a scratching post or tree. For instance, I recently purchased a huge cat tree that in PetSmart or Petco would have cost about $375. By ordering this same tree from a mail order store, I paid $135, plus shipping, and even with the shipping cost added in it was still less expensive than the pet stores. I really like the selection and prices at Pet Edge,Pet Peoples Place, and Amazon. You can find a link to these sites on our Supply List page. Within the first 24 to 72 hours after getting your new Persian cat take it to your veterinarian for an examination. This exam usually covers hearing, vision, and they will check for signs of parasites or disease. The veterinarian will check the cat's temperature, look for signs of ringworm and check the overall health of the cat. Often, the cat may need a vaccination at this examination. The person whom you got the Persian from should have provided you with a health record which will reflect what vaccinations, and wormings the cat has had. This information is vital to your veterinarian so he will not have to unnecessarily repeat vaccinations or wormings. At this appointment, you should schedule an appointment to have your Persian cat spay or neutered. 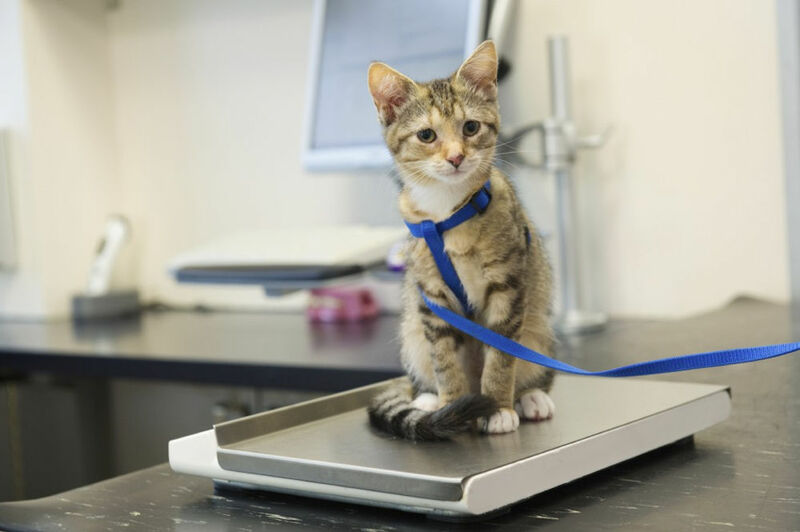 There are many years of research reflecting that early spay or neuter programs have no adverse effects on a cat's physical, emotional and social development. Here at Pelaqita Persians we always spay or neuter any kitten going to a non-show home. Some breeders vaccinate their Persian kittens with a "3-way" shot which includes Herpesvirus (Rhinotracheitis), Calicivirus, and Panleukopenia. Some veterinarians still give a "4-way" vaccination containing Chlamydia. However, Chlamydia is no longer considered a "CORE" vaccine. I highly recommend that your Persian get its rabies vaccination for liability reasons (in case your kitty was to accidentally get outside or if it were to bite someone). The following tests can be performed by your veterinarian and are completely up to you. These tests are OPTIONAL and not considered part of the CORE vaccines. Feline Leukemia Virus (FeLV). If the cat is positive, you will need to keep the cat separate from all other cats, or you run the risk of infecting other cats. There is a test for exposure to viruses in the coronavirus family of which Feline Infectious Peritonitis (FIP) is one of. However, be aware that the results for this test are not always accurate and many healthy cats can test positive even if they have never been exposed to FIP. If your Persian cat tests positive to this test, and the cat appears healthy, you may want to get a second opinion. There is a great deal of controversy surrounding this test and the reliability of the test. Good luck and enjoy your new addition!